At the same time the US State Department is relaxing entry requirements to visa applicants with Islamist terrorist connections, and reassuring President Putin of Russia that any sanctions against travel to the US placed upon those responsible for Russia’s invasion Ukraine will be limited to no more than a “few dozen” named individuals, it is dramatically increasing its rejection rate of Israelis seeking visas to visit the US. The harsh and unexplained crackdown against Israeli tourists, first felt in 2009 has been tightening ever since, particularly, say those familiar with the matter, within the last year. 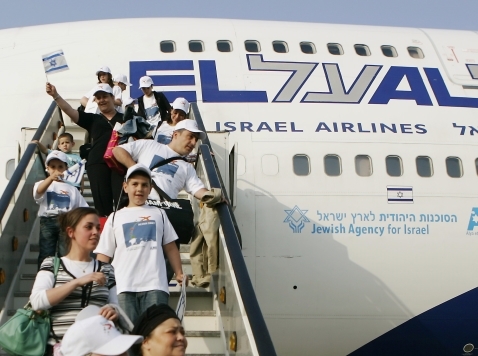 When first imposed, the travel bans were extended to all young Israelis seeking to visit the US after completing their compulsory military service. Israeli reports examining such records show that, starting in 2012, rejections of Israeli visa requests were applied preemptively and categorically to all Israeli nationals of student age. The State Department confirms there has been a 400% increase in the visa refusal rate for Israeli citizens since 2007, when only 2.5% of all Israeli visa requests were denied, as compared to 2013 when 9.7% were. In fact, rejection rates for Israeli visa applicants were so high in 2013, that Israel was expelled from the State Department’s visa waiver program. Some of the countries whose citizens are eligible to participate the US visa waiver program, in addition to traditional and treaty allies like Canada and the UK, include Saudi Arabia and Qatar.